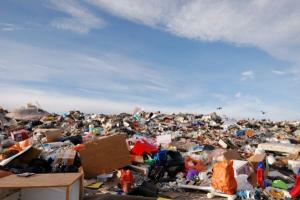 TeledyN: Have Blog - Will Travel: Is the solution garbage? Converting the rubbish that fills the world?? ?s landfills into biofuel may be the answer to both the growing energy crisis and to tackling carbon emissions, claim scientists in Singapore and Switzerland. New research published in Global Change Biology: Bioenergy, reveals how replacing gasoline with biofuel from processed waste could cut global carbon emissions by 80%. Biofuels produced from crops have proven controversial because they require an increase in crop production which has its own severe environmental costs. However, second-generation biofuels, such as cellulosic ethanol derived from processed urban waste, may offer dramatic emissions savings without the environmental catch. ?? ?Our results suggest that fuel from processed waste biomass, such as paper and cardboard, is a promising clean energy solution,??? said study author Associate Professor Hugh Tan of the National University of Singapore. ?? ?If developed fully this biofuel could simultaneously meet part of the world?? ?s energy needs, while also combating carbon emissions and fossil fuel dependency.??? The team used the United Nation?? ?s Human Development Index to estimate the generation of waste in 173 countries. This data was then coupled to the Earthtrends database to estimate the amount of gasoline consumed in those same countries. The team found that 82.93 billion litres of cellulosic ethanol could be produced from the world?? ?s landfill waste and that by substituting gasoline with the resulting biofuel, global carbon emissions could be cut by figures ranging from 29.2% to 86.1% for every unit of energy produced. ?? ?If this technology continues to improve and mature these numbers are certain to increase,??? concluded co-author Dr. Lian Pin Koh from ETH Z??rich. ?? ?This could make cellulosic ethanol an important component of our renewable energy future.??? Are Caring Economics Feasible? ??? YES!